Home prices keep falling in Seattle, but not enough for many hopeful homebuyers. The market still prices out all sorts of people: young adults who haven’t saved enough for a Seattle-level down payment, retirees with fixed incomes, teachers, nonprofit employees, blue collar workers—it’s a huge group, to say the least. Seattle’s recent growth has made home-ownership exclusive. Seattle’s growth isn’t limited to the city proper. The region around Seattle has grown, too, not just with people, but with jobs, transit, and quality of life. Bremerton and Kingston got fast ferries, and ST3 will eventually connect a huge network of outlying communities. And up north, Everett is developing into a city that can stand on its own right. Case in point: Paine Field. Paine Field in Everett will gain a new passenger airport on March 31, 2019. 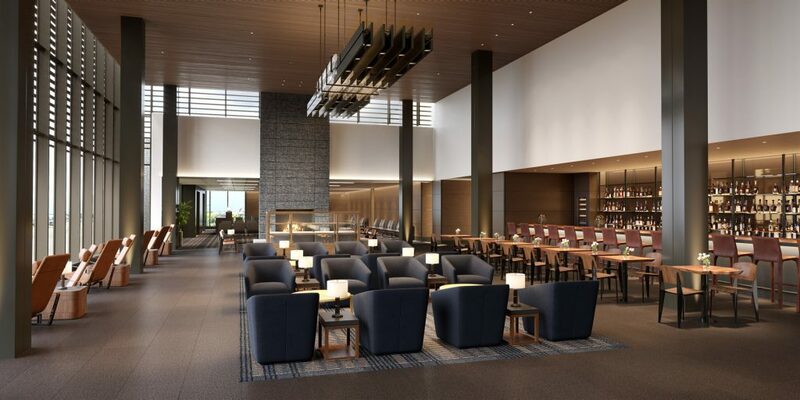 It’s a tiny two-gate, public-private airport done up in a gorgeous, Midcentury style, but Alaska Airlines and United Airlines will keep those gates operating at full capacity from the get-go. Alaska plans to operate 18 nonstop flights to Las Vegas, Los Angeles, Orange County, Phoenix, Portland, San Diego, San Francisco, and San Jose. Tickets are already available. United will run six daily flights: four to San Francisco and two to Denver. These tickets are up for sale already, too. Another airport. I don’t care where it is—I just want any alternative to SeaTac, the ninth busiest airport in the U.S.
An airport north of Seattle. Everyone who lives north of downtown knows the anxiety of waiting in traffic, counting down the minutes before your flight leaves. And for those farther north—Shorline or Lynnwood or Everett—Paine Field is a godsend. Forget a 90-minute trip to the airport. Say hello to a 15-minute jaunt. Out-of-Seattle development. It’s refreshing to see other communities growing besides the Emerald City. Affordability. Everett has a gentler housing market than Seattle, and gaining an airport brings it one step closer to being a complete, cheaper alternative to life in Seattle. I’m not sure when I’ll have an opportunity to fly out of Paine Field, but if you do—let me know how it goes! I want to learn how this fledging airport fares.